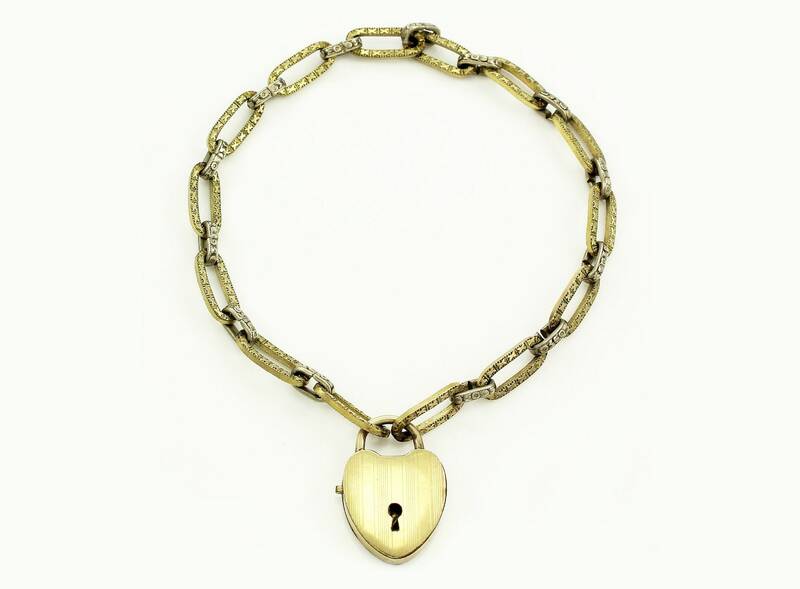 Antique Edwardian Gold Filled Heart Padlock Fancy Chain Bracelet. 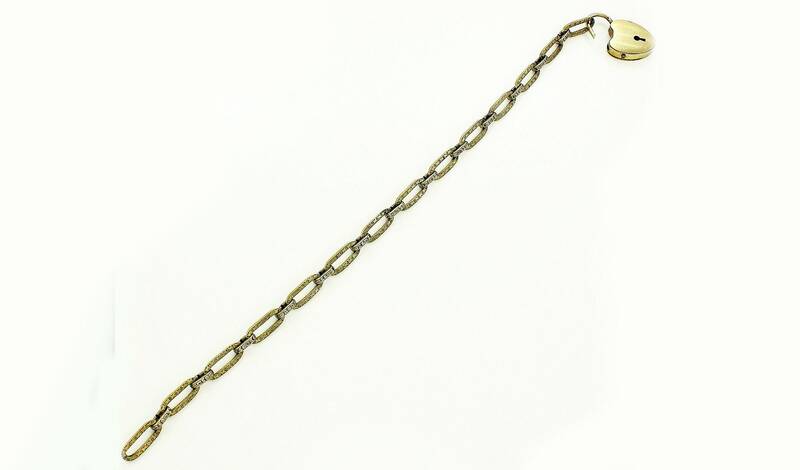 Made in the 1910s, this bracelet has elongated oval links of yellow gold filled embossed with X pattern and shorter connecting links of white gold filled with floral embossing. 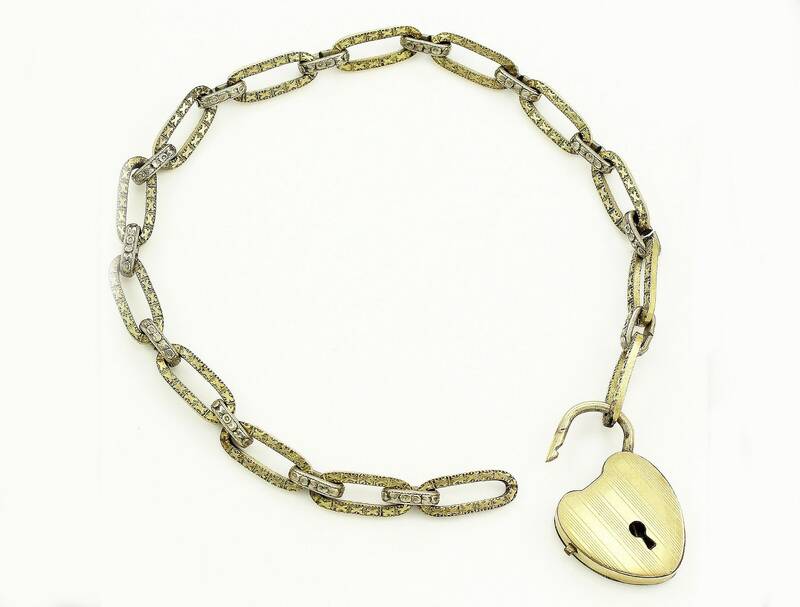 The bracelet has a heart shaped padlock with machine-engraved stripes and a push lock. The bracelet measures approximately 8.5 inches long, and a width of about 1/4 inch wide. 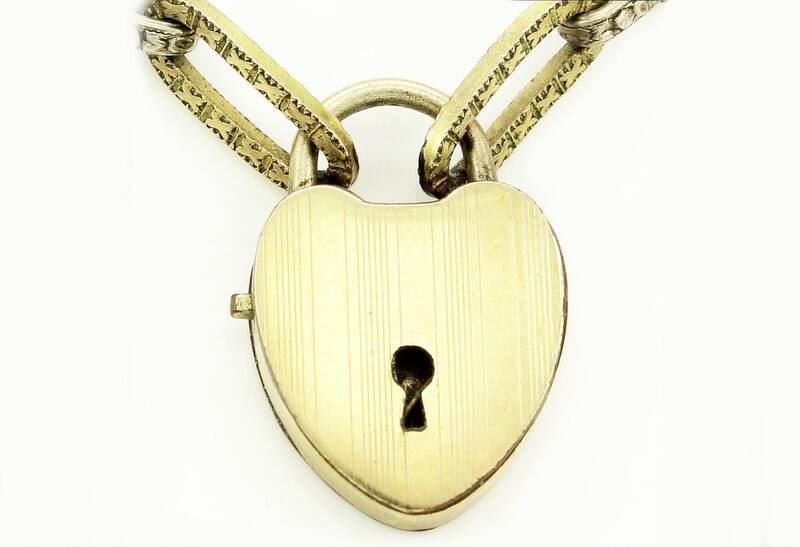 The padlock is approximately 5/8 inches wide and 7/8 inches tall. In good vintage condition, with minnor surface wear, as expected for the age of the bracelet. CONDITION: In good vintage condition, with minor surface wear. 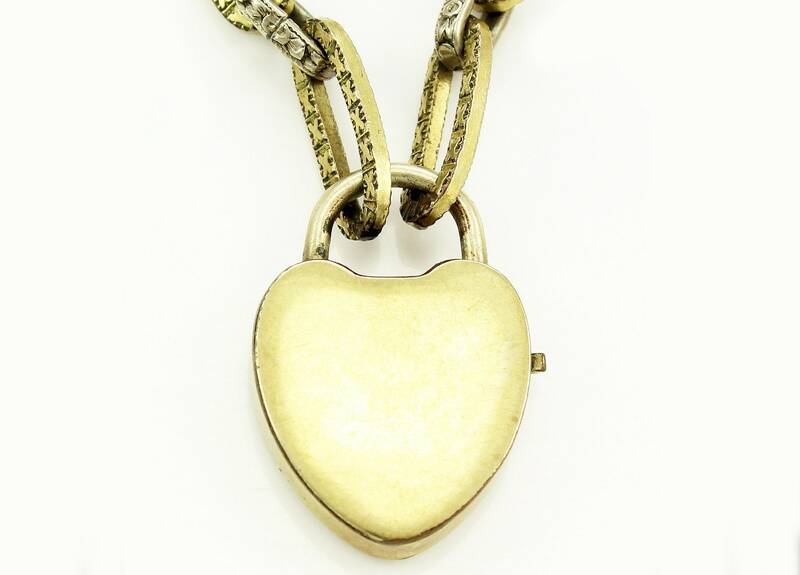 MEASUREMENTS: Heart padlock measures 15 mm wide 25 mm tall. Bracelet is approximately 8 1/2 inches long.